Your home’s water heater plays a vital role in your comfort and security. It keeps you warm in the shower, provides heated water for cooking and laundry, and allows access to hot water for sanitation purposes. In the United States, a water heater isn’t a luxury. It’s a necessity. Yet, every day people are at the mercy of this plumbing appliance and go into a panic when they can no longer access hot water. Don’t put yourself in the situation where you need emergency water heater service in Simi Valley. Instead, follow these preventive maintenance tips to keep your water heater working at its very best 24/7. Annual flushing gets rid of sediment that builds up at the bottom of the tank. Calcium, lime, and other substances that are present in hard water can be very damaging to your plumbing system, especially your water heater. If you have an issue with hard water, you may want to consider installing a water softener or whole-house filtration system to reduce the amount of sediment present in your home. Not only will conditioning the water leave your plumbing appliances in better condition, it will protect other piping and fixtures. Hot water heater maintenance doesn’t have to be up to you. 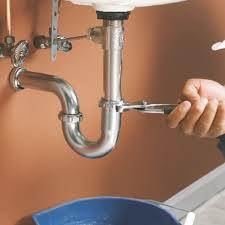 In fact, it’s always better to hire a professional plumber in Simi Valley. By purchasing a preventive maintenance package, you never have to worry about keeping track of when the last time you flushed the water heater or had it serviced. The plumbing company takes care of the scheduling and remembering for you. Also, if there is a problem that pops up out of the blue, you can feel confident that you’ll have a plumber working on your water heater who is familiar with its service record. If you have a water heater emergency, call Simi Valley Plumber Pros 24 hours a day, seven days a week for impeccable service that is always affordable and always 100% guaranteed! Although most people like to think they are immune to plumbing problems, the truth is that at some point most homeowners will need emergency plumbing repair service in Simi Valley. Sometimes, though, it can be difficult to tell if you need to call a 24 hour plumber. At Simi Valley Plumbing Pros, we don’t want you to stress over making that call. Emergency or not, we’re always here for you. However, here is a little bit of guidance to help you determine if you can wait until morning to call a plumber or you need help right now. If water is leaking from a faucet, shower head, or a pipe under your bathroom or kitchen sink, try turning off the water to that fixture or pipe. If turning off the water source stops the leak, go back to bed and call a licensed plumber in the morning. In the event that water is still leaking from the pipe or fixture, it’s possible that a feeder pipe may be damaged. When this happens, you should call an emergency plumber to come out and take a look at the situation. Will the Situation Lead to Water Damage or Health Hazards? There are some plumbing situations that are mostly just minor annoyances that shouldn’t be ignored, but also don’t necessitate a 2:00 a.m. service call. For example, is your toilet running off and on throughout the night. This is for sure frustrating, but it’s something that isn’t going to lead to extensive water damage. Instances such as raw sewage backing up in your sinks or water leaking from the walls or flooring is something that you need to put a stop to right away. These are two great examples of when calling for emergency plumbing repair service in Simi Valley makes sense. Do you still have questions? We have answers! Call Simi Valley Plumber Pros anytime – day or night – to have all your questions answered by trained customer service staff. When it comes to drain cleaning, our clients care about affordability, reliability and speed. Simi Valley Plumber Pros has been working with homeowners throughout the Simi Valley area for years, so we have a long history of delivering great results for a fair price. We offer comprehensive drain cleaning services for apartments, houses and other residential structures, so you can rely on us to clear out any kind of clog. Don’t Struggle with DIY Repairs, Call a Pro! Minor clogs are a common occurrence in the home, particularly in structures with older plumbing systems with narrow pipes. Severe blockages not only cripple vital sections of your plumbing system, they can also increase the risk of a leak or burst in the pipes. It’s also possible for the clog to slowly move down to the main sewer line, which can obstruct drains throughout the entire structure. Toilets are a common culprit, which is why most bathrooms are equipped with their own plunger for just such an occasion. When the plunger fails, some people turn to caustic drain cleaning chemicals as a backup solution. Unfortunately, these products can be dangerous to children, pets and expensive plumbing fixtures. As a resident of Simi Valley, you don’t need to waste your time and effort on do-it-yourself drain clog removal. Just call Simi Valley Plumber Pros to schedule a service call at your earliest convenience! Leaking pipes and bathroom drain clogs are just a few of the issues that can be extremely disruptive to daily life. We know that our clients don’t want to wait until the next business day to get their system back online. That’s why we make ourselves available 24 hours a day, 7 days a week for urgent appointment requests. Just give us a call and we will dispatch a technician to your location as soon as possible. So, you bought a new water heater. Now what? You need to install it. Before you throw your tool belt on and go to work, let us point out that self-installation is never a good idea. Unless you’re a licensed and experience plumber, you should let the pros handle this part of the process. Here are 3 reasons why professional water heater installation is always the right choice. A water heater is not a cheap purchase. Depending on the model you choose, you may have spent well over a thousand dollars. If you install the water heater incorrectly, you could end up damaging the unit and rendering the appliance useless. Did you know that you could inadvertently void your unit’s warranty if you do not have it installed professionally? Read the fine print and you’ll likely notice any problem that arises due to ineffective, unprofessional installation will void your right to a replacement or no-cost repairs. Every year ambitious homeowners are seriously injured while attempting to install water heaters. Injuries may occur due to accidental tipping (getting pinned under the appliance) or due to explosions because a gas line wasn’t hooked up to a gas heater correctly. Professional installation guarantees your safety. 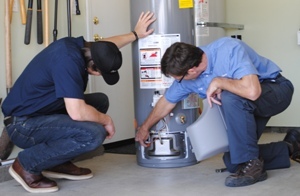 When you’re ready to install a water heater, give one of our Simi Valley plumbers a call. If you’re buying from Home Depot, Lowes, or another big-box home improvement store, keep in mind that their installation services are not the same as ours. With big-box installation services, you’re usually getting a third-party installer who isn’t going to be available if there is a problem down the road. 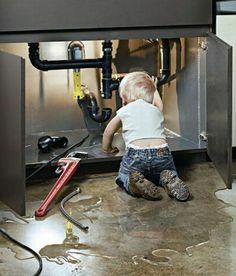 Working with the plumbers at Simi Valley Plumber Pros, installation is always guaranteed and if a problem arises down the road, you’ll know exactly who to call.